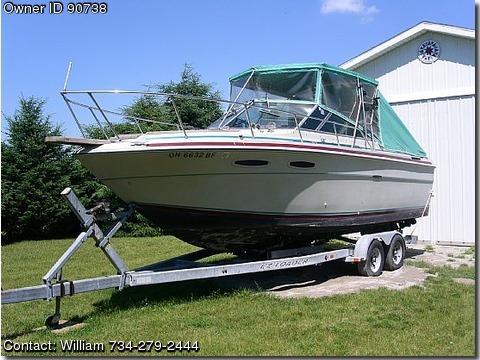 1983 25 ft Searay 250 Sundancer, Canvas is like new. Has been stored winters indoors, Runs very well,hull painted while in storage, has two coolers and down rigging setup.comes with tandem EZ Loader trailer. Registered and titled in Michigan.